MedCycle helped with EMS support for the 2017 Atlantic City Ironman race on Sunday, September 17, 2017. In addition to general patrol and assistance throughout the day, we were so inspired to be able to shadow Harvey as he raced his final miles. 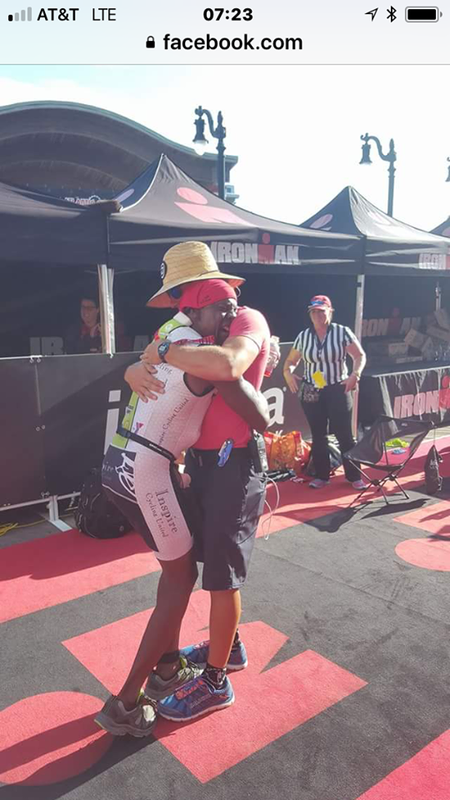 Harvey inspired everyone he met that day, and this photo shows him at the finish with race organizer Steve from DelMo Sports! Newer PostHighland Park All-Wheel Sports Rodeo a hit! Older PostAtlantic City Airshow supported by MedCycle!